Auli’i Cravalho Hasn’t Splurged On Anything Since Getting Her First Big Paycheck | Auli'i Cravalho, Damon J. Gillespie | Just Jared Jr.
Auli’i Cravalho joins Damon J. Gillespie at the 2018 NBCUniversal Summer Press Day on Wednesday afternoon (May 2) in Universal City, Calif. 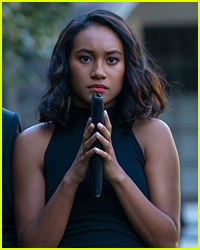 Speaking with CNBC recently, the 17-year-old Rise actress opened up about how she’s saving every penny she’s earned since her breakout in Moana – and how she hasn’t made a huge purchase yet. College is the number one thing on her mind, too. “Growing up in Hawaii I thought, ‘Well, somewhere in the mainland, somewhere where I can make it big and get a really good education. Now I’m looking at NYU, I’m looking at Julliard because, well, Julliard is Julliard,” she says. FYI: Auli’i is wearing Alexis Bittar jewelry and Sam Edelman shoes. 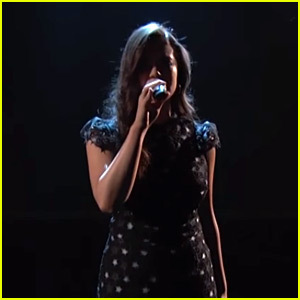 Auli'i Cravalho, Shannon Purser & 'Rise' Cast Perform on The Voice - Watch Now! 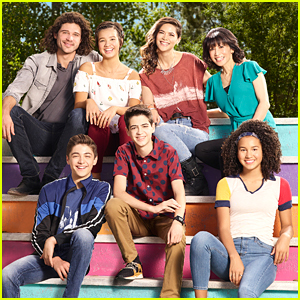 Auli'i Cravalho & Damon J. Gillespie Impress Their Teachers in 'Rise' Sneak Peek - Watch Now! Auli'i Cravalho Gets Glam on the Red Carpet for the 'Rise' Premiere in New York City! Auli'i Cravalho Sings in 'Rise' Super Bowl Commercial - Watch Now! Auli'i Cravalho Opens Up About Her Upcoming Show 'Rise'!